At my new office, housed at the Dublin Technology Center, we've hung a lot of art from students and staff from around our district. 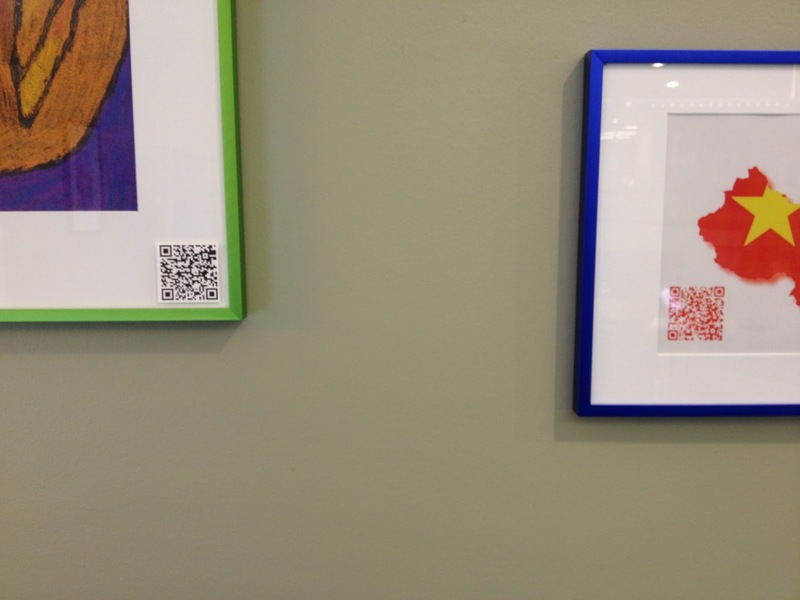 We've incorporated QR Codes with the art. Let me explain what we've done. First, we've created a Wiki to display art, as well as information about the artist. So the QR Code attached to the picture takes you to the Wiki on your portable device. That is illustrated in the picture below. 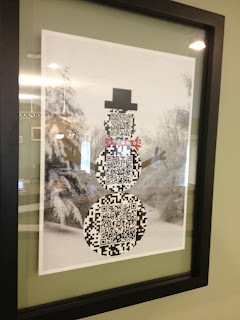 Two pieces of art with QR Codes about their authors. 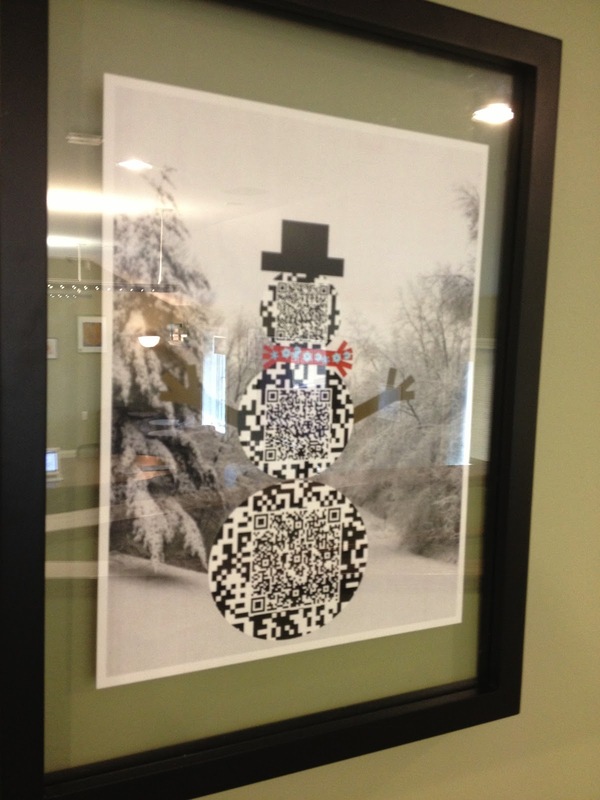 Second, we have created actual art using the QR Code, which takes you to a digital piece of art. Those pieces live in the Wiki Art Gallery, but the actual pieces don't live in the Technology Center. This way we can link to videos, that couldn't be displayed on the wall. Lastly, we've created book trailers and can rotate which books are highlighted. 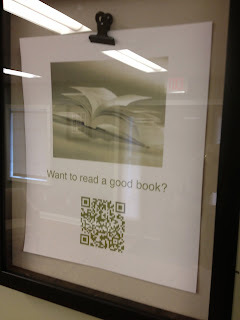 We can change the book that lives on the page that is asssociated with the QR Code. Here are some awesome ways to use QR Codes. Most of our QR Codes are made with QR Stuff. It allows you to change colors of the code. Really nice. Give them a try. Oh, no! 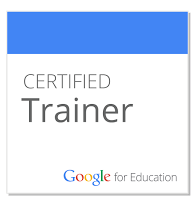 Google Reader is Going Away! Really, this is quite annoying. Not that Google Reader is the greatest thing since sliced bread, but it does perform it's function very efficiently for me. So, what do I do? I think I have found a functional replacement. 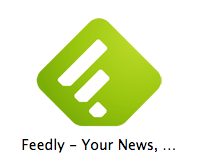 Feedly is a nice replacement, and it currently brings in all of your current Google Reader feeds automatically. I like that it brings the pictures in with the article, and has a nice clean interface. It just may take getting used to. 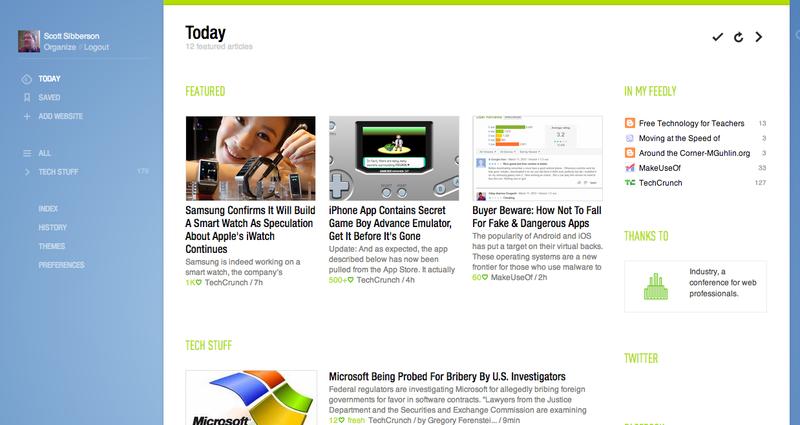 Feedly currently has formats for browsers and portable devices. I am using the Chrome version of feedly and on my portable devices, I have been playing with Flipboard, but am testing out Feedly, as well. There are versions of Feedly for Safari and Firefox, too. Try it out and let me know what you think? Have you found something better?